Description: Mark your calendars for the 29th annual conference on Astronomical Data Analysis Software and Systems! The conference will be held on 6-10 October 2019, at MartiniPlaza, in Groningen, the Netherlands. The organization of ADASS XXIX is led by ASTRON, in collaboration with various Dutch astronomical institutions: JIVE, the ALMA European Regional Centre, University of Groningen, Universiteit Leiden, Universiteit van Amsterdam, Radboud University, and SRON. The conference program will include invited talks, contributed papers, display sessions, tutorials, computer demonstrations, and special interest ("Birds of a Feather" or BoF) meetings, as well as a community-based Hackathon preceeding the meeting. 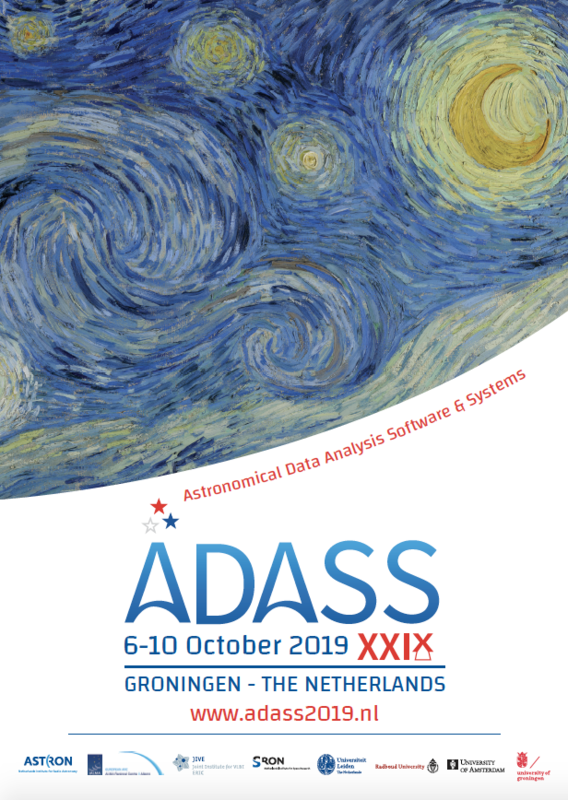 Hosting ADASS in the Netherlands will give crucial exposure to the astronomical data-analysis and software techniques developed in our country, among which those associated with the challenges for handling, processing, visualizing and scientifically exploiting radio data. The conference programme will also include tours to LOFAR and APERTIF.